The Best of @JatinKiDuniya: The #AcerSmartphones are here, Buy it #OnlyOnFlipkart! The #AcerSmartphones are here, Buy it #OnlyOnFlipkart! If Acer was your best friend, tell us where all would it be handy? Unlock the new world of smartphone with the help of #AcerSmartphones. 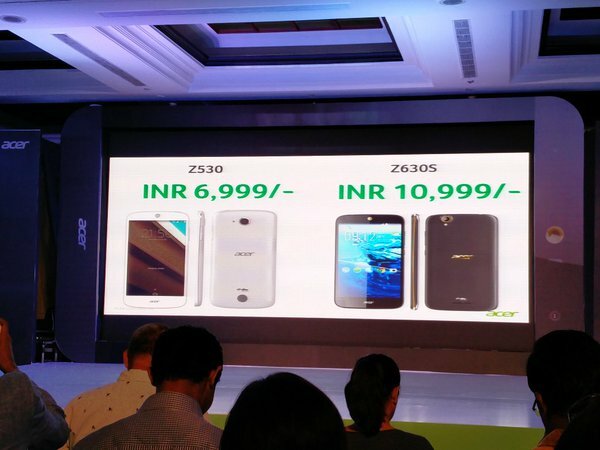 The Acer Liquid Z630s will be available in India priced at Rs. 10,999/- on Flipkart.com. The Acer Liquid Z530 will be available in India priced at Rs. 6,999/- on Flipkart.com.